Tease is a cozy lounge-style salon offering hair and specialty services to men & women in the Northeast Ohio area. 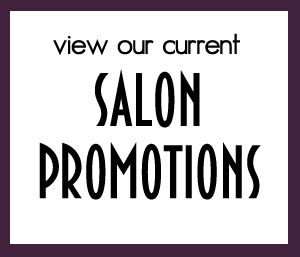 Come in and shop all of our cool boutique hair care products and other unique gifts. Not sure what to get? No worries, our super-friendly staff can help you pick out some really great stuff we know you’ll love! Don’t forget to check out our FULL LINE of Jane Iredale cosmetics too. We always offer a COMPLIMENTARY color match so you can try before you buy! We are proud to have won 1st Place for both Best Hair Color and Best Hair Salon for 2018 on The Cleveland Hotlist. We also took 1st Place for Best Hair Color in 2017 and Best Hair Salon in 2015 and in 2016 we ranked in the Top 3 for both Best Hair Salon and Best Hair Color. Our salon and our work have also been featured in top industry magazines and shared on their social media pages. Come see why we’re THE BEST! We are booking for Prom & Wedding season NOW! Be sure to book soon as our Saturday spots are super limited. Aurora is offering a COMPLIMENTARY Brow Wax with any makeup session with her. 🙂 Call to book your appointments: 216-236-6940. FIND US ON THE HOTLIST!